Good Morning Angie! How nice to have my coffee with your company! 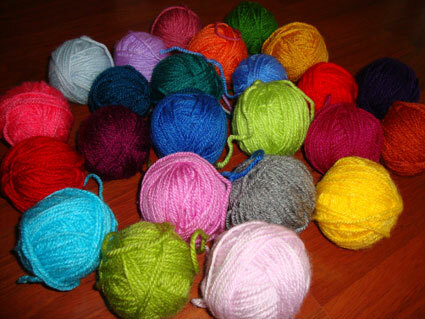 When I see this your new project I really want to go to by 24 balls yarn and start the same!!! But…I have to leave it later and enjoy watching yours! on January 18, 2011 at 7:37 am | Reply Rachel D.
Well Sucrette, te voilà partie dans un magnifique projet. Et connaissant ton amour pour les couleurs (tout comme moi d’ailleurs), je devine déjà les superbes photos que tu vas bientôt nous montrer. Quelle bonne idée que le “sac à bébé”. Il faut savoir tout recycler. Bisous et passe une agréable journée (ici il pleut mais quand on est passionnée de pelotes, il fait toujours soleil, n’est-ce pas ?). It will be so beautiful. 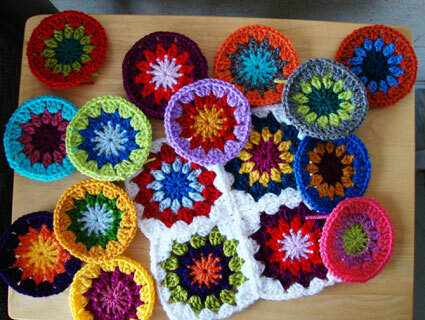 I am sitting in bed with my cup of tea and the laptop reading blogs (it’s a cold morning here) … and seeing this, I suddenly have the urge to start a crochet project!! Maybe I have to go to the yarn store later!!! It looks beautiful, Angie. Have fun! Nice project, i love the colours! Hope you enjoy this project , I got quite addicted to circle making , and missed it when it was all done . 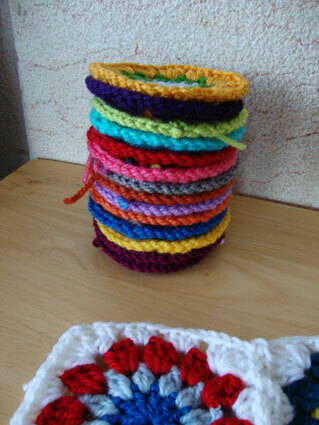 I’ve started a new blanket which I hope to share with you soon. 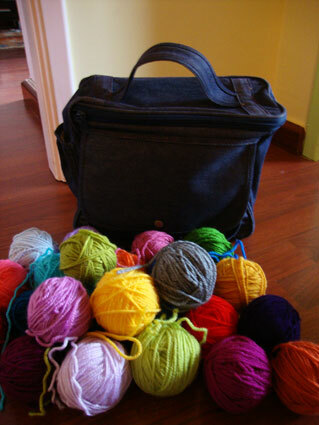 It’s so lovely to have a large project on the go , I’m sure you know how I feel . 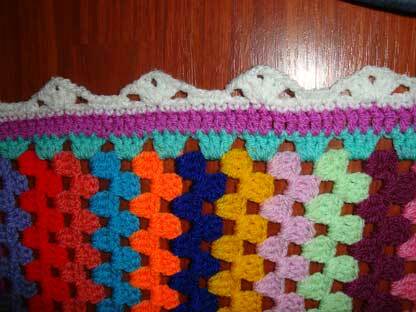 The blanket will be wonderful and why not put one of your latest photos here, project finished or not on my new Crafty Links blog! What a beautiful, beautiful blanket and lovely colours as usual. Awww… this will look so great, when it’s ready! 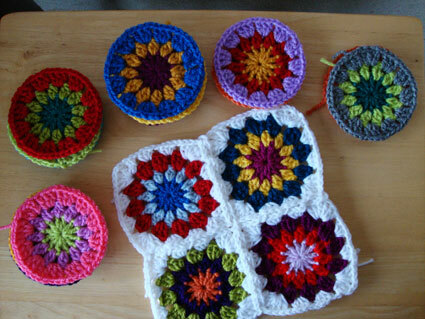 I love the way the circles look before they become the finished squares, just the three rounds. They look so colorful and fun!